St. Martin's Griffin, 9780312267803, 288pp. From renowned outdoor writer Jim Fergus comes this collection which represents a kind of extended journey across the country from Colorado to Florida and points beyond. From pheasant hunting at Nebraska's Fort Robinson to bone fishing on the flats of Grand Exuma, Bahamas, these 32 essays, arranged by season, chronicle Fergus's most memorable travels hunting and fishing over a period of 6 years. 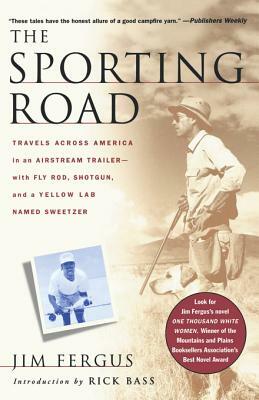 A book about the natural world and man's place in it, The Sporting Road is also a book about relationships, which for Fergus include old friends, new acquaintances, and his trusted yellow lab, Sweetzer.